This refugee from a popular '80s TV series was snapped in dry-dock at Universal Studios in Florida. Can you identify the aircraft and name the show? Was it Fantasy Island Jon? Good guesses but no. To be fair, the seaplane was painted in different colours - red and white. The series apeared in the early '80s and was an Indiana Jones-type story, involving the adventures of a Flying Tigers pilot having a break from combat. It's just appeared on DVD after a long dispute over the soundtrack. 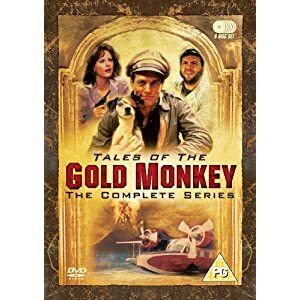 Tales of the Golden Monkey? Who won, by the way? Mat Wins. I didn't see he'd already mentioned it at the bottom of his post! That's the one. Roddy McDowell popped up as BonChance Louie who opwned the Monkey Bar and thee was a one-eyed dog called Jack. All very odd. 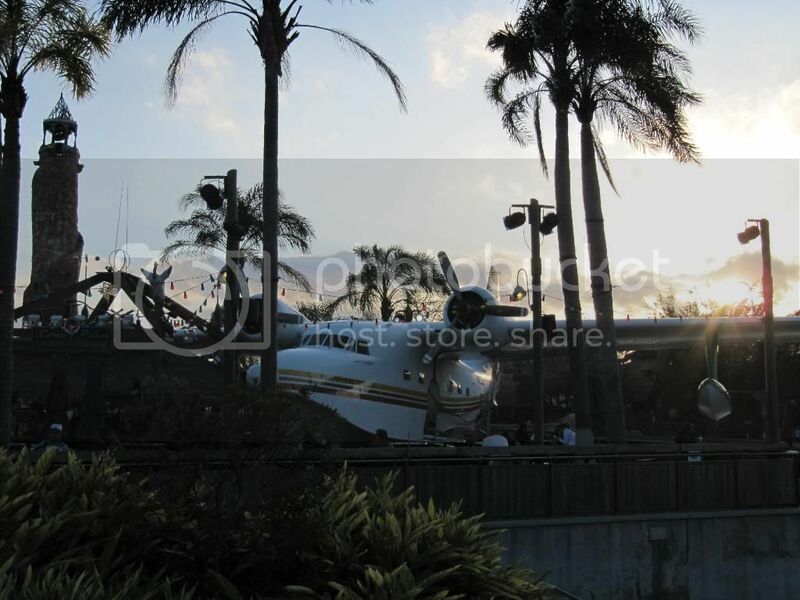 It's a Grumman Goose, BTW, not a Catalina. V cool little planes. Didn't they do a Turbo Goose for a while? 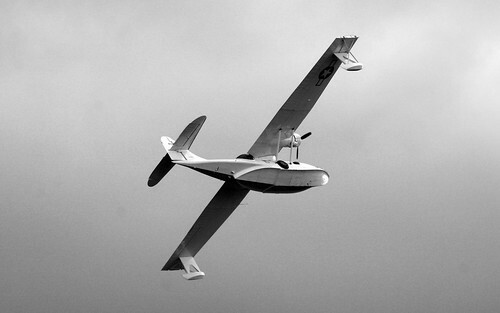 Here's a Catalina from Duxford last year - it's a wee bit bigger than the Goose. Not sure who won. I left in protest after the South Africa game. And then again after the New Zealand game. Crumbs, we really are useless. Apparently some chaps from down unde fluked a final. Hey ho. Samoa in Scotland?